Certainly the brain is plasticthe gray matter you wake up with is not the stuff you take to sleep at night. But what changes the brain? How do the Fraggles know what to rip apart and how do the Doozers know what to build? 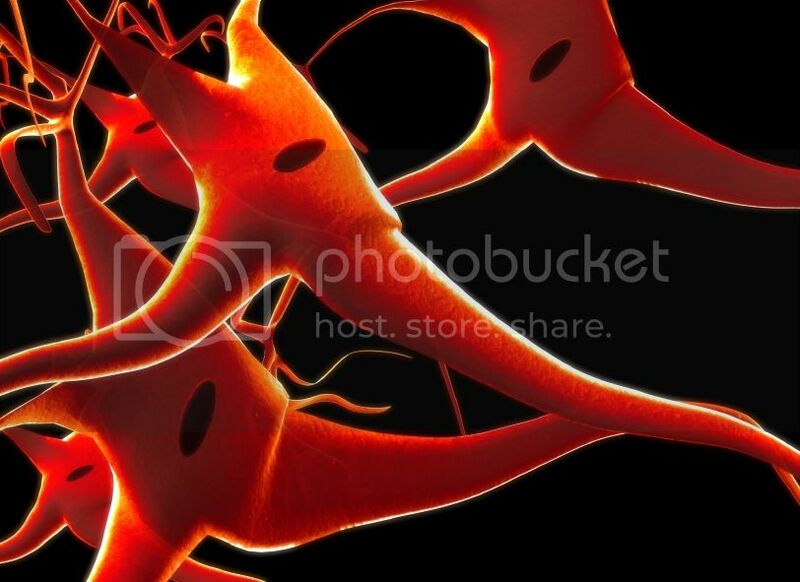 Part of the answer lies in a simple idea: neurons that fire together, wire together. This is an integral part of the process we call learning. When you have a thought or perform a task, a car leaves point A in your brain and travels to point B. The first time you do something, the route from point A to B might be circuitous and the car might take wrong turns, but the more the car travels this same route, the more efficient the pathway becomes. Your brain learns to more efficiently pass this information through its neural net. A crossword puzzle a day keeps the neurons firing away! Now let’s think about Sudoku. The first time you discover which missing numbers go in which empty boxes, you do so inefficiently. But over time, you get better at it. You learn tricks. You start to see patterns. You develop a workflow. And practice creates efficiency in your brain as neurons create the connections necessary for the quick processing of Sudoku. This is true of any puzzle: your plastic brain changes its basic architecture to allow you to complete subsequent puzzles more efficiently. Okay, that’s great and all, but studies are finding that the vast majority of brain-training attempts don’t generalize to overall intelligence. In other words, by doing Sudoku, you only get better at Sudoku. This might gain you street cred in certain circles, but it doesn’t necessarily make you smarter. Unfortunately, the same is true of puzzle regiments: you get better at the puzzles, but you don’t necessarily get smarter in a general way. That said, one type of puzzle offers some hope: the crossword. 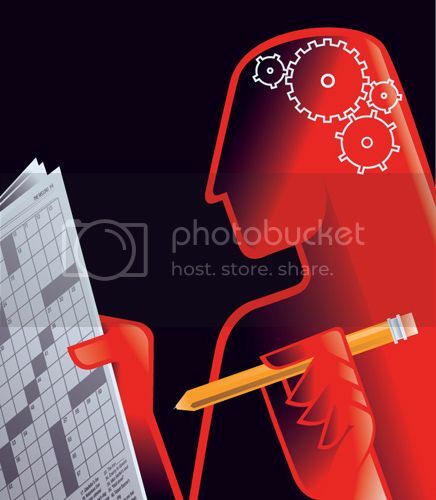 In fact, researchers at Wake Forest University suggest that crossword puzzles strengthen the brain (even in later years) the same way that lifting weights can increase muscle strength. Still, it remains true that doing the crossword only reinforces the mechanism needed to do the crossword. But the crossword uses a very specific mechanism: it forces you to pull a range of facts from deep within your brain into your working memory. This is a nice thing to get better at. Think about it: there are few tasks that don’t require some sort of recall, be it of facts or experiences. And so training a nimble working memory through crosswords seems a more promising regiment than other single type of brain training exercise. try a NEW puzzle, you’re forcing your brain to rewire itself to be able to deal with these new experiencesyou’re growing new neurons and forcing your old ones to scramble to create new connections. 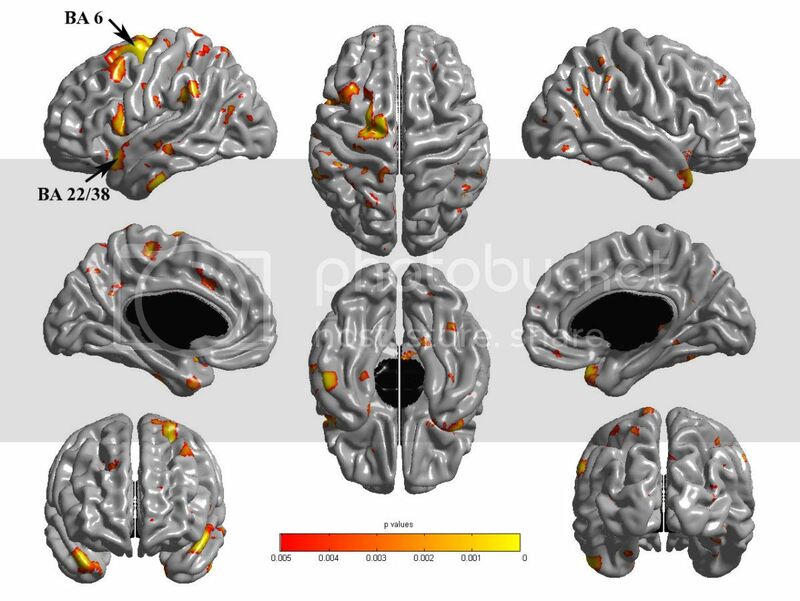 Brain imaging shows growth in cortical thickness for a group of subjects that played Tetris for three months (red and yellow areas). Yes, even playing video games can sharpen your mind! something new. It’s not just use it or lose it. It’s use it in a novel way or lose it. Try it. Your brain will thank you for it. into stupidity. He is a frequent on-screen contributor to The Science Channel and has written for magazines including Wired, Seed, Sand Esquire. You can visit him online or follow his Twitter feed. I’ve read that it’s clinically proven but I’ve also tried it myself, and for me it works. I use scientifically designed brain games everyday and they work for me. Here is an article that sites and several studies that indicate the right kind of brain training can be effective. http://www.realbraintraining.com/2012/04/does-lumosity-work.html. There is also information on how to get a free trial of the best brain training games on the internet so you can decide for yourself. My site is http://www.realbraintraining.com. You can follow my progress with brain training and get all my tips and tricks there.